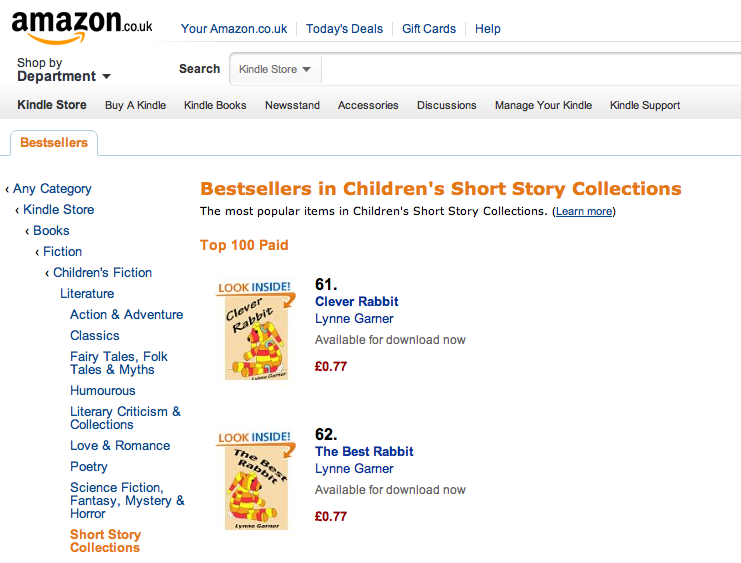 As a small indie publisher we realise our titles are going up against the ‘big boys.’ So when not one but two of our eBooks (Clever Rabbit – The Best Rabbit) make it into the top 100 on Amazon.co.uk you can imagine what a boost that can be. To celebrate we can’t decide between chocolate chip muffins or giant buttons. Some in the office have suggested both!